Safely load & unload ladders in seconds. Gas strut assisted lift up/down. Reduces the risk of injuries from lifting. 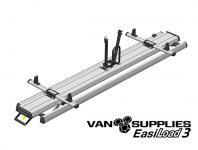 Fully adjustable to carry ladder widths upto 620mm. Loading equipment to the roof of a panel van can cause safety risks, especially when combined with winter conditions and difficult means of access. The EasiLoad 3 significantly reduces the risk of strain and injury caused by loading and unloading from a vehicle roof. 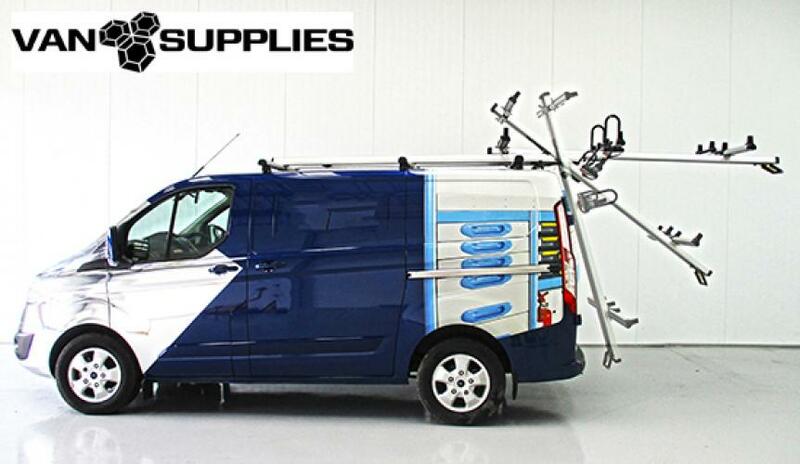 The EasiLoad 3 was developed in response to consumer demand for a safe, simple and inexpensive means of loading and securing ladders or other equipment onto the roof of commercial vehicles. 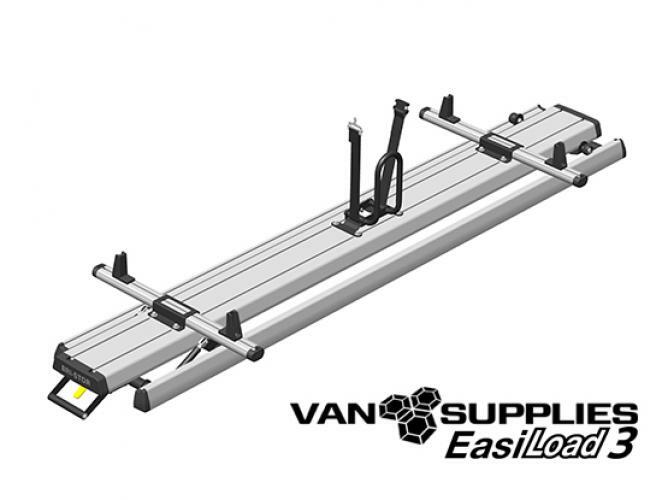 The EasiLoad 3 has been designed to fit to roof rack or roof bar systems (minimum of 3 cross bars required) in order to load, secure, lift and lower your ladder systems whilst keeping both feet firmly planted on the floor. The EasiLoad 3 is manufactured from lightweight anodised aluminium which boasts an aerodynamic design with bespoke injection moulded end caps. This not only makes the EasiLoad 3 one of the lightest ladder loading systems on the market but also makes the EasiLoad 3 fully durable in all weather conditions. The EasiLoad 3 features a rivet free design with all fixings and sealed roller bearings manufactured from stainless steel, allowing for easy serviceability and also longevity in service life. 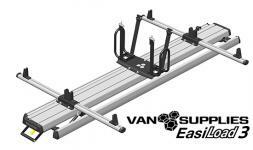 Fully adjustable to carry TWO ladder widths upto 550mm. Enclosed carriage mechanism, protecting rollers from environmental debris.